Kelly Ripa will be back on Tuesday. What will she say? Kelly Ripa will end her self-styled protest against ABC on Tuesday. In a late-night email, she told her staff that "We are a family and I look forward to seeing you all on Tuesday morning." Ever since Ripa skipped work on Wednesday, furious with her bosses for moving co-host Michael Strahan off her talk show and keeping her in the dark about it, fans have wondered when Ripa will be back. They've also wondered if her relationship with Strahan is irreparably damaged. But two sources close to the program confirmed that Strahan will be back with her on Tuesday. Now fans will start wondering what they'll say — wondering how candid Ripa will be about her frustrations and how Strahan will handle the delicate situation. So far she has communicated solely through her actions: skipping work; carrying the book "David and Goliath" while leaving for vacation; and sending the late-night email. Ripa metaphorically sent a message by emailing her entire staff — in other words, communicating widely instead of withholding information. The agreement for her return followed consultations between executives at ABC and Ripa's representatives at CAA. It is unclear what specific agreement was reached. An ABC spokeswoman declined to comment. But Ripa's return on Tuesday will likely fuel the ratings for "Live" and stir even more coverage of the controversy. The public dispute started last Tuesday when ABC announced that Strahan, already a part-time host of "Good Morning America," will be leaving "Live with Kelly and Michael" to co-host "GMA" full-time. The move had been in the works for weeks. "GMA" co-hosts Robin Roberts and George Stephanopoulos knew in advance. But ABC management decided to withhold the information from Ripa. Strahan informed her around 10:30 a.m. on Tuesday, after their 9 a.m. show, and the news leaked out around 11 a.m.
Ripa was incensed, primarily because she felt disrespected by Disney-ABC Television Group president Ben Sherwood. She perceives that "Live" is sometimes treated as a second fiddle while "GMA" is ABC's top priority. "This has been festering for two years," one person close to the program said. That's when "GMA" lost two co-hosts, Sam Champion and Josh Elliott, and Sherwood brought Strahan onto "GMA" part-time in an attempt to boost the morning show. 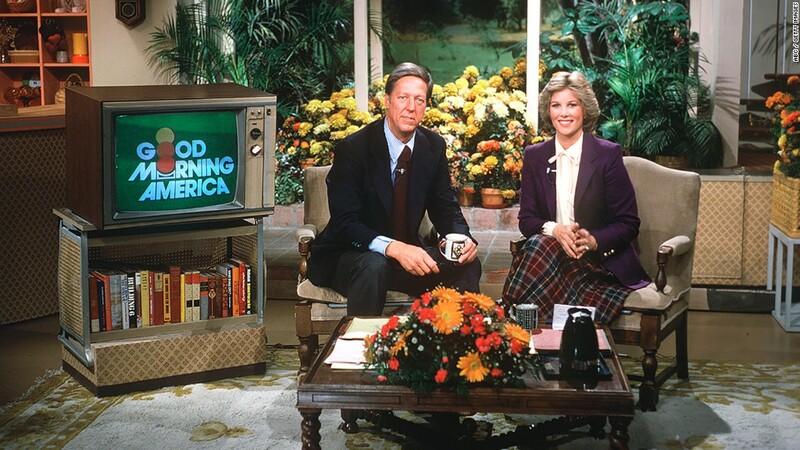 Ripa has also been concerned that ABC will try to expand "GMA" from two hours to three, which would step on her syndicated show, which airs right after "GMA" in many markets. Many news outlets have written about that possibility in recent days. In response, a Disney-ABC TV spokesperson told The Hollywood Reporter, "We are committed to 'Live...', its fantastic production team, and to Kelly Ripa. We believe the show has a great future. End of story." Another Hollywood publication, Variety, said any "GMA" expansion is highly unlikely, saying it would be hard to pull off and "would break a cardinal rule of television: If something is working, don't break it. And 'Live,' by any measure, is a workhorse for Disney." But will Ripa want to stick with Disney for the long term? It is unknown when her contract expires. Strahan will be leaving "Live" this summer and officially joining "GMA" in September. Until then, the two of them have a lot to talk about. The feud between Ripa and ABC has sparked many conversations and columns about how the television industry treats female hosts. ABC may not want her to speak too candidly. Shortly before Ripa sent her all-staff email on Friday, the Page Six gossip column said her bosses are fearful that "she could go off-script on live TV." But that's what "Live" is all about -- unscripted banter. Ripa, who had a pre-scheduled vacation Friday through Monday, emailed her staff around 10:30 p.m. Friday. The email was first reported by The New York Times. "Hi guys, (Sorry for this late Friday night email)," she wrote. "I wanted to thank you all for giving me the time to process this new information. Your kindness, support, and love has overwhelmed me. We are a family and I look forward to seeing you all on Tuesday morning." She signed the email, "Love, Kelly."